President Trump called the trophy hunting of elephants a “horror show” — but that hasn’t stopped him from allowing American trophy hunters to once again kill threatened and endangered elephants and lions and important them back to the US as souvenirs from their hunt. If we don’t reverse current trends, these iconic animals are in danger of extinction. And elephants are just some of the wildlife threatened by hunting and poaching. If we’re not willing to save elephants, what are we willing to save? Just a few months ago, the Trump administration reversed the ban on elephant hunt trophies. 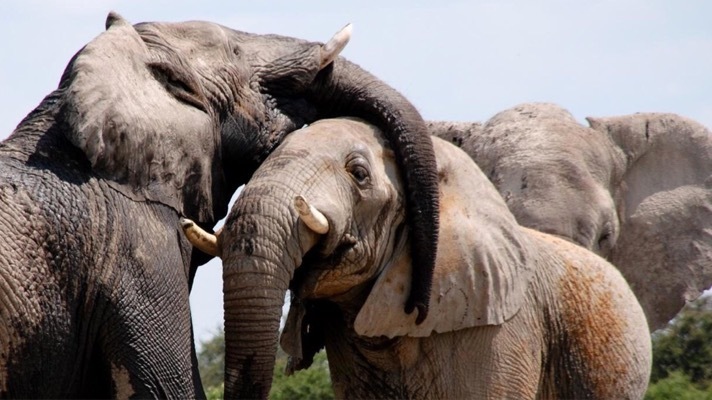 It’s a move that threatens the future of at-risk African elephants. And just after, Secretary of the Interior Zinke put known hunting advocates and lobbyists on the council tasked with advising the Interior Department on conservation efforts. Help us work to stand up for elephants, pass the ProTECT act and more by supporting our work today. We need to do everything we can to preserve and enlarge African elephants’ natural habitat, and create systems that encourage people to protect, not poach, these creatures. To get there, we need to stop incentivizing hunting. That’s why we’re working to pass the ProTECT act, educate the public, and stand up for these wonderful creatures. It’s time our legislators took action to ensure that these animals are protected. Our children and grandchildren should have the chance to see these elephants in the wild, or even just know that they walk upon the Earth. If you agree, will you support our work today? 1. “African Elephant,” World Wildlife Fund, Accessed June 28, 2018. 2. Michael Biesecker, “Trump Wildlife Protection Board Defends Trophy Hunting,” AP News, March 16, 2018. 3. Nick Visser and Chris D’Angelo, “Trump Administration Reverses Promise To Ban Elephant Hunt Trophies,” HuffPost, March 6, 2018. 4. Rep. Sheila Jackson Lee, “H.R.5690 – ProTECT Act of 2018,” Congress.gov, May 7, 2018.